You’re in Florida, a peninsula state, literally surrounded by water on 3 sides, and yet there’s nary a beach to be found because you’re land locked in Orlando. It’s spelled Or-LAND-do — the word land is actually in the name. 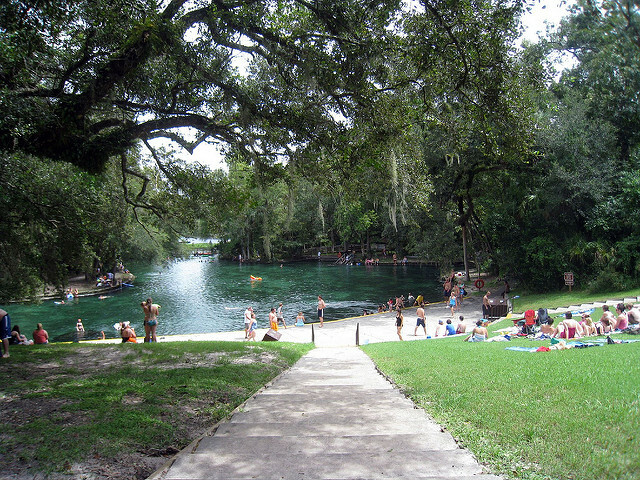 If beaches are your happy place, but an hour-long drive in rush hour is not, head to Wekiwa Springs. Just 15 mins from downtown Orlando, you can escape the theme park madness with a few buddies, a cooler of Landshark, and a license to chill. Breaking news: Florida is hot. So, cool off with a swim in the springs where, unlike the ocean, the only shark you’ll ever encounter is your Landshark Beer. The springs are only 5 feet deep all the way around, even in the middle. So, it’s not really swimming in the conventional sense. It’s more like standing and drinking. 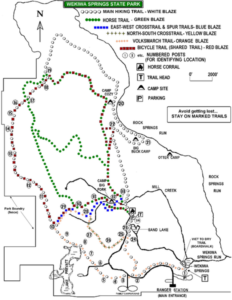 If you’re feeling adventurous (or are an overachiever on your weekends), save your Landshark for the end of your 13 mile run, or after you have a paddleboard/kayak race down the river. And finally, if a night under the stars is more appealing than your local motel or you don’t feel like falling asleep binge watching TV in your apartment again, spend the night in a tent roasting the perfect golden ‘mallow (here’s how, if blackened embers aren’t your thing).